The back border in our garden, showing spring colour. 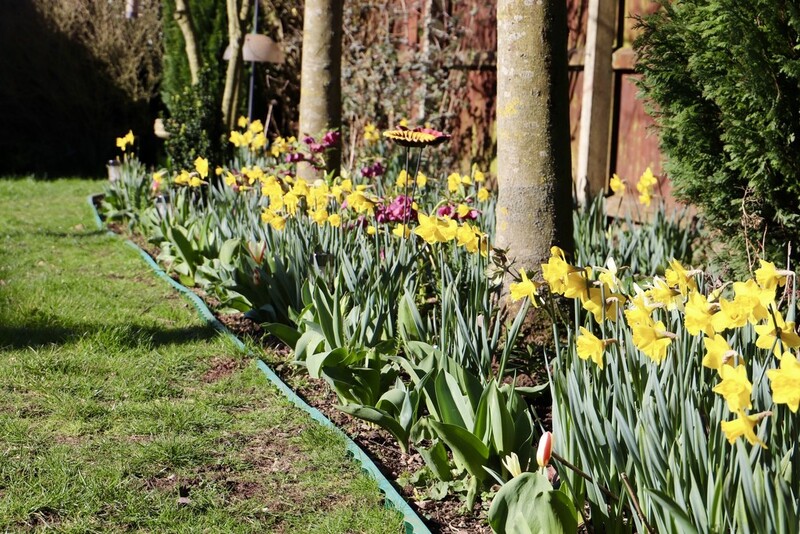 The daffs really brighten up the gardens - I hope these blustery winds do not flatten and spoil them ! What a lovely spring garden.